It’s been a while since I’ve last written anything, and I am at a point in where I have a lot to write about. At the start of June, I wrote a negative piece about Baltimore’s Peabody Heights Brewery. A few reps reached out to me (respectfully, I should mention), but what I wrote then is what I still believe. The last month has been quite a whirlwind, and I’ve gotten very sidetracked. The big news is that I’ve been accepted to medical school! The bigger news is that it’s in Poland! As a result, I’ve been scrambling to get my affairs in order before my departure from Baltimore next Wednesday. I have had some wonderful beers in the inbetween. In late June I did my first beer trade with reddit user u/nnfdcane. He sent me Cigar City’s Jai Alai, Brew Bus Last Stop IPA and Intuition AleWorks I-10 IPA. Some great beers, and an awesome new experience. I’m itching to do more trades in the future. With a clock on my stay in Baltimore, I finally took the opportunity to do a brew tour at Union Craft Brewing, a company I completely adore. Their Double Duckpin was the inspiration for my first post, and they continue to pump out great beer. 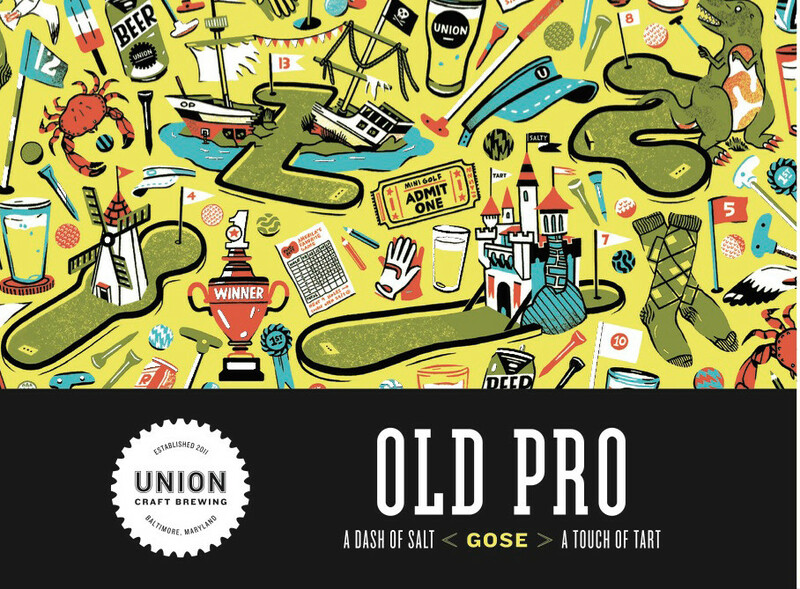 While I was at Union, I had the chance to try a cask version of Old Pro Gose that was aged in lemon and ginger-root. As great as the original Old Pro is, it doesn’t even shake a stick at that cask version. And lastly, because I’m moving so far away, I’ve been doing some extreme beer-fridge cleaning. I’m finally drinking the things I said I wanted ‘an occasion’ to try, things like Evil Twin’s Imperial Biscotti Break Natale or the Prairie Bomb! I wasn’t ready to finish off. Today I’m continuing to clear out the fridge with a beer that is way out there. On BeerAdvocate, there’s only one review. It’s a Belgian Strong Pale Ale made by Japanese brewery, Nippon. I was quite surprised to find this at my local bottle shop, Eddie’s Liquor. Eddie’s is a small store, and it has a pretty good selection, but you’re not usually going to find anything too crazy. The Kagua Blanc was a must-buy for my adventurous spirit. *After writing this piece, I took a look at the tasting notes Nippon wrote on their webpage, and realized that this what yuzu tastes like. beerbeer tradebelgian beerbelgian strong pale aleCraft Beerevil twinjai alainipponUnion Brewing Co.